Workflow management might not be the most exciting aspect of 3D printing technology today. But 3D printing service bureaus can scale more easily and save a lot of time and effort by streamlining their workflows. Workflow software is a fundamental piece of this puzzle. Workflow software can make day-to-day business processes more efficient by coordinating tasks between people and synchronising data between systems. Bringing workflow software into the equation helps to streamline manual, routine tasks, ensuring that your business is getting the maximum value and efficiency from all its operations. But how do you know when it’s the right time to bring workflow software into your 3D printing bureau? Today’s article gives you 5 key signs to consider. It almost goes without saying that optimising your sales processes is essential to growing your AM business. Your staff have probably felt the pain of having to manually calculate quotes and send a seemingly endless stream of emails back to the customers with the details like price and delivery time, as well as answering queries. This process of pricing parts and exchanging emails can quickly become long, cumbersome and inefficient. For one thing, it can take up a lot of the time your staff could be using on more value-generating tasks. For example, pricing parts can take an employee anywhere between a couple of hours and a whole business day, depending on how much manual file repair needs to be done and the time it takes to manually calculate the cost to produce the part. At the same time, customer experience is impacted when a customer is forced to wait hours, or even days, simply to receive a quote. With speed being number one on the list of modern consumer expectations, your service bureau will reach a point where its time to consider ways to optimise manual quotation processes. Workflow software helps your team speed up the time needed to price parts. By using workflow software, a service bureau can create its own pricing formula, which automates the cost calculations. This helps the client-oriented team to interact with the end customers more efficiently, whilst enabling them to reallocate their time to activities that bring in more revenue. Mexican 3D printing service bureau, Tridi Mx, is one example of a company using workflow software to streamline its pricing operations. Before deciding to use a software solution, the company was spending at least four to five hours a day quoting FDM parts. Sebastian Romo, founder and CEO of Tridi Mx, soon recognised that this slow and laborious process was a key barrier to growing their business. That’s why the company opted for workflow automation, which enabled Tridi Mx to create custom pricing formula for 3D-printed parts. Now, instead of having to manually calculate prices using a spreadsheet, the sales team can import a file to the software platform and instantly generate an accurate price. Using software to price parts in this way has helped Tridi Mx to cut down the time spent employees spent on price calculations by a staggering 98%. Ultimately, automating manual quotation processes allows your team to spend more time on clients and other more valuable tasks. And that approach will definitely help your business grow. As the additive manufacturing market grows, so too is the demand for AM services. While this increase in demand is encouraging, it brings with it the many challenges that come with a growing business. For example, perhaps your sales team is beginning to struggle to deal with and prioritise the influx of requests. Or, your project team has a hard time tracking individual parts and managing production schedules. If this is the case, then there’s a good chance that your workflow management needs some optimisation. Organising projects and scheduling production with tools like Trello or spreadsheets are sufficient when you’re producing a few hundred parts a month. But if you’re expanding or have plans to expand to thousands or tens of thousands of parts per month, then using the systems and processes that worked for smaller volumes is no longer efficient. To support the growth of your business, you’ll need to establish the right software architecture that will help you overcome the challenges of ever-increasing workflows. Workflow software provides the flexibility needed to help your service bureau expand its services. Leveraging an end-to-end workflow software platform provides your team with a single platform for managing operations from request through to production and post-processing. For example, your sales team can use the platform to view all incoming requests, automatically calculate prices and send and receive customer emails. Your team managing production, in turn, can easily see the ongoing projects and keep track of different printing jobs in real time. With workflow software, a project manager can schedule jobs more efficiently while being able to identify any bottlenecks before they cause delays. The result is a scalable, streamlined 3D printing workflow with a centralised system that fully supports business expansion. 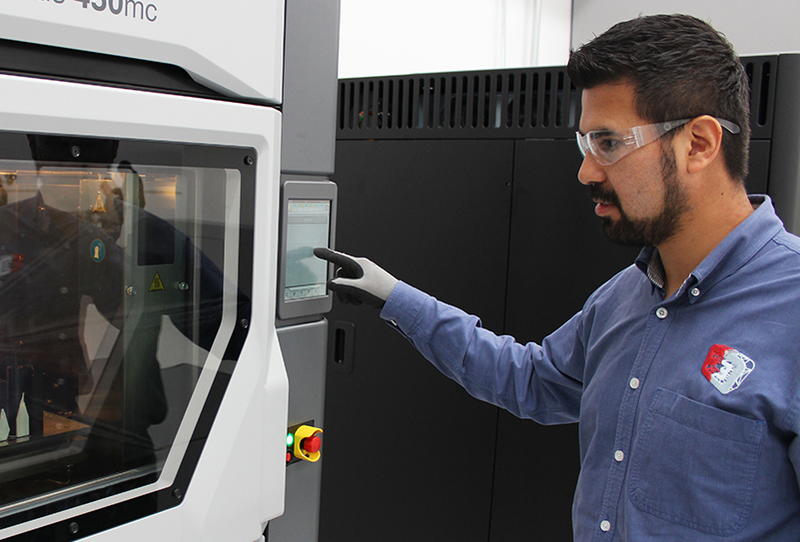 Making its additive manufacturing facility more efficient has been one of the key incentives to adopt workflow software at Paragon Rapid Technologies, the UK’s first production partner for Carbon. Initially, Paragon relied on manual and paper-based processes to handle incoming requests, schedule different jobs and keep track of the parts being manufactured. But with an ever-expanding client base, the company quickly realised that this approach lacked traceability and hampered further business growth. Using workflow software, Paragon’s production team is on its way to a digital, paperless process. The team can now easily schedule all of their production jobs, quickly identify and keep track of parts and ultimately achieve an easier, faster way to manage its ever-increasing demand. For any service bureau, acquiring new customers and securing repeat business is critical, but it is also an ongoing challenge. Perhaps one of the most important things to consider is that all of your potential customers are online. This is what makes digital marketing one of the most effective ways to reach and attract new business. Digital marketing can help you drive traffic to your website, entice visitors to learn more about your services and ultimately convert them into customers. And you don’t need to be a marketing guru to benefit from digital marketing. For examples, as a start, you can launch a paid Google Ads campaign or try your hand at content marketing. Creating useful and engaging content and sharing it on relevant social media is a powerful way to bring your offerings closer to your market. Having an online presence is, therefore, essential for service bureaus going forward. As is having a platform to make it easier for your customers to order from you online. Essentially, such a platform uses a web application embedded in your website to enable your customers to receive automatic quotes and make orders online. Workflow software is one of the most effective tools to set up such a platform. Using the platform, customers can easily upload their design files, choose the necessary material, manufacturing technology, fill in the shipping destination, etc. Then, at a click of a button, they instantly see the quote, calculated by your pricing formulas, and can place an order directly through the platform. Providing your customers with an online quoting option can simplify the customer journey considerably. By using the application, customers can intuitively complete the buying process in a matter of minutes in the vast majority of cases. Some workflow software come with the added benefit of full customisation, allowing you to customise your customer-facing web application to achieve a professional look that will boost your branding. 3D People is a London-based 3D printing service bureau that has been operating since 2016, with clients that include Unilever and Hyundai. In a bid to help its sales and production teams manage increasing internal workflows, the company saw the solution in workflow software. The workflow software provided 3D People with a tool that automates the company’s quotation and project tracking processes. “Having the instant quotation option on our website is a huge deal for us — as a service provider, you really can’t survive in this industry unless your customers are able to receive quotes instantly,” says Felix Manley, co-founder of 3D People. The decision to implement workflow software has been transformative for 3D People. They were able to reduce the time needed to process orders, responding to and serving their customers much quicker. The increased level of professionalism achieved with the workflow software has ultimately helped 3D People translate better customer service into more sales. 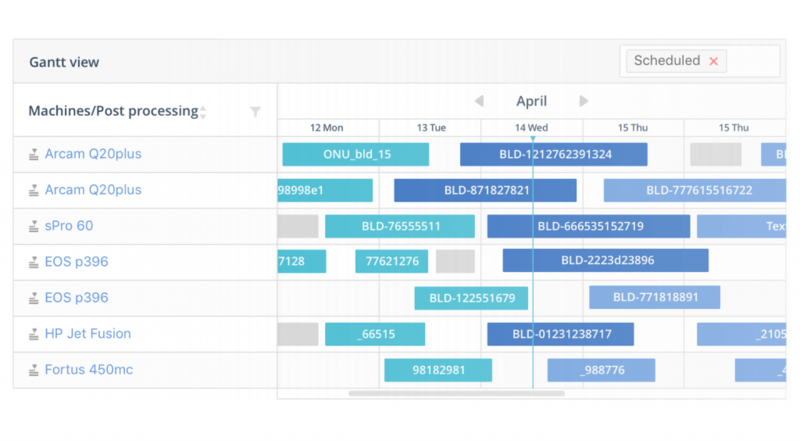 With so many requests, projects and schedules to keep track of, it can be a struggle to maintain visibility and accountability within your team. Manual, paper-based processes are often a major source of a lack of workflow visibility. For example, when it comes to higher production volumes, manual accounting and order handling not only requires significant effort but is extremely prone to human error. This is particularly true for service bureaus that use a combination of systems, such as CRM and accounting systems, spreadsheets and other tools to coordinate activities. Too often this results in disconnected systems, with staff having to manually input the same information multiple times into multiple systems — further adding to the time and complexity required to keep track of a single order. It can also take time to notice any gaps or missed opportunities, since important information can easily become lost in the noise of hundreds of emails, spreadsheets and siloed systems. All the while, your customers are waiting for updated statuses and estimated time of arrival. Software can eliminate this, by offering full visibility and accountability for each stage of the 3D printing workflow. It integrates all files, orders, their status, updates and deadlines within a single system, allowing the workflow to be easily monitored and adjusted as needed to meet the latest goals. The right software solution can also be integrated with your other software tools, like accounting, to provide a seamless workflow. With all the information visible and accessible by anyone in your team, your service bureau can achieve even greater responsiveness, accuracy and complete transparency. Perhaps you already have workflow software in place – but is it bringing a real ROI to your business? Whether you’ve developed your own solution or you’re using off-the-shelf software, the solution you currently have may feel clunky, lack the necessary functionality or isn’t intuitive for your staff to use. These are some of the most common signs that the software you’re currently is bogging you down instead of helping you run your business with maximum efficiency. An efficient workflow software platform means that it has been designed for the specific needs of a 3D printing service provider. Not only does it help to reduce time spent on routine tasks, but most importantly, it provides a comprehensive set of tools that enable a service bureau to manage all of the steps involved in the workflow. It also ensures that all information is centralised. For example, a production manager can view the availability of machines within the platform and schedule production based on that information. What’s more, a good workflow software gives you the flexibility to customise the platform to your needs. This can include everything from a customer ordering platform to internal pricing formulas and even email templates sent to your customers. And finally, it can support your decision-making by providing you with accurate reporting data. Poorly designed workflow software will hardly bring you the consistency needed for sustained growth. Therefore, make sure to opt for software that can fully support your business operations, from end to end. If some of the pain points described above sound familiar, we encourage you to learn more about the benefits of workflow software. AMFG’s workflow platform has been specifically developed to overcome the challenges in AM workflow management while bringing the benefits of streamlined, coordinated and more efficient AM operations.